“We are thinking outside the box, we want to make sure that Abia survives the post-oil era”.- Ikpeazu. Thinking outside the box, which is also referred to as thinking out of the box or thinking beyond the box, is widely used in business circles, especially by management consultants and executive coaches. The phrase has been referenced in a number of advertising slogans .The phrase was derived from management consultants in the 1970s and1980s challenging their clients to solve the “nine dots” puzzle, whose solution requires some lateral thinking . It is a metaphor that means to think differently, unconventionally, or from a new perspective. It often refers to novel or creative thinking. On the 24th, Gov. Okezie Ikpeazu briefed the journalists in the state.The briefing was significant for a couple of reasons. One , the administration is 200 days old. Two, the administration runs on 100-day circle, and at the end of each circle, a briefing is held to appraise the journey so far and acquaint Abians with what to expect in the next circle. Third, which i consider the most significant, the workers have just received their December salaries-an experience that has eluded them for quite a period-and there were intense jubilations across the state. As the governor presented out his numerous achievements within the last 100 days, there was an inanimous concession in the hall to the fact that the administration is indeed on a speed lane. But what baffled everybody was the magic behind these achievements, considering the fact the states are almost on their knees as a result of the dwindling monthly allocations fron the federation account occasioned by the decline in oil economy globally.Abia is badly hit by this experience. 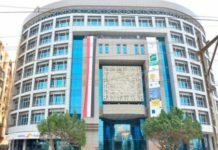 The monthly allocations fluctuate between N2.2 billion to N2.4billion, which is half or more than half of what it was getting. With this level of paucity of funds staring Abia menacingly on the face, Ikpeazu must be a magician to have engaged over 40 active roads construction sites(running simultaneously and some fitted with street light), and which out of the lot, not less than nine has been completed; completed Okonu and Umunneochi bridges; pay Abia workers promptly; amongst other other achievements. Also, plans are underway to engage a major contractor on the popularly Ururuka Road to reduce the time spent from Aba to Umuahia; and to also give Faulks Road a facelift for an unfettered access to Ariaria International Market. Besides, the state has adopted cement technology in some of these roads .A technology that is capital intensive. But Ikpeazu’s motive behind the adoption of the technology is that the roads will outlast his administration. Because, according to him, it will be counter-productive if the administration, within one to two years, borrows solicits for loans to rehabilitate these roads after they must have collapsed. Cement technology, also known as “Rigid Pavement Technology in road construction, ensures the mixture of crush rock-based materials and other items to achieve a thickness fill and compaction to the level of 300mm. This is followed by a concrete reinforcement cast with 8mm to10mm-high tensil (mash of wires) reinforcement bars over the stabilised base before treating it with prime coat and asphaltic concrete. Though the cost of this technology is higher than those of the conventional construction methods, Gov. Ikpeazu chooses this technology as a means of strengthening the load-bearing capacity of roads in Abia and to boost the strength and quality of the finished work.The technology has a sustainability guarantee of10 to 20 years. Cement technology is one of the technologies used in the construction of airport runways, tarmac and places with heavy loads like machines and equipment. The technology is a good solution for achieving sustainable roads in Nigeria. Indeed, the current Nigerian economy requires every governor to think outside the box, and that is what Gov. Ikpeazu is doing to succeed in Abia. Thank God that recently the federal government urged states to explore alternative sources of revenue. Ikpeazu’s approach in addressing these problems is hinged on two prongs. One is to minimise and wastages experienced in the revenue generation process of the government. Between the time of this revenue collection and the time it gets to the government coffers, over 70 percent is lost. There is a huge gap between the revenue collection and the time it arrives to government coffers. Part of the administration’s strategy to plug physical leakages and enhance its revenue basket is to make sure that the revenue is one. The negative narrative of government revenue generation in Abia will change from 2016. There will be a departure from what was obtained in the past where all manner of agents were contracted to collect revenue. Another leg of the “operation plug the wastages campaign” is to cut down on all celebrations and miscellaneous. This is evident in events observed since Ikpeazu assumed the mantle of leadership of Abia. The events have been observed in low key. It will be recalled that shortly after Ikpeazu assumed office he placed himself on half salary and cut his travelling allowances by 50% until the backlog of workers’ salaries and allowances owed are cleared. 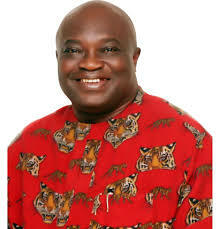 The second approach is to make sure that Abia residents are brought into the state’s tax net. Unfortunately, more than 60 percent of the people who do business in Abia is not in the state tax net. To encourage parents to pay their children/wards school fees as well improve tax payment in the state, from January 2016, admission of pupils and students into schools in Abia state will be based on evidence of payment of tax by their parents. 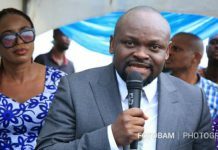 The policy affects both public and private schools, and a committee headed by the deputy governor has been setup for this. The motive behind delivering world class infrastructure in the state is to muster the boldness to demand taxes from Abians. According to the time- tested adage,”to whom much is given, much is expected”. In Abia, the latest approaches are” tasking our resourcefulness” and” adopting local content in what we are doing. This approach is manifests in the “Friends of Abia School Adoption Initiative (FASAI). 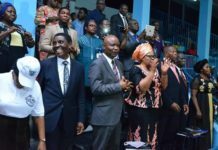 It is a private-sector driven initiative aimed at involving well- meaning individuals within and outside Abia to give back to the communities that moulded them, especially the schools that raised them. By this arrangement, they are expected to adopt indigent pupils and volunteering to renovate the dilapidated structures of the schools. This is a departure from the old tradition whereby government renovates and equips primary schools project in rural, urban and semi urban areas. In this approach ,the worst primary schools in each of the local councils will e identified and given face lift with the hope that when the worst of these schools are upgraded, the effect on the entire primary school system will be enormous. While the project aims at turning around the poorest primary schools across the state, it is also designed to give hope to pupils from poor schools by getting well-to-do individuals within and outside the state to adopt such schools and in the process enhance their fortunes and by extension the intellectual horizon of the benefiting pupils. 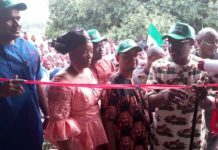 The governor expressed regret that the primary schools which form the base of the entire school system have for long been neglected due to a number of factors, which include lack of Old Boys Association, Parents Teachers Association ,among others. He noted that pupils in these schools are exposed to extreme weather conditions including seating on bare floors. The most cheering news is that in view of the economic crunch, it is not in the radar of Abia State to downsize its workforce. According to Ikpeazu, “For now it is not on our radar to downsize our workforce. Times are hard but Abia is not in the relegation zone”. 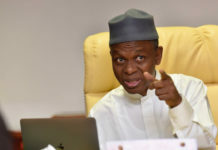 The governor has made it emphatically-clear that, despite the economic crunch bedeviling the country, that his administration would neither sack workers in the state nor cut the minimum wage, adding” we are going to sustain our determination for workers to receive their salaries as at when due”. 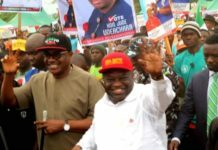 Ikpeazu had earlier addressed the problem identified by President of the NLC, Ayuba Wabba,who charged state governors “to cut down cost of governance”, which he said, “was the major source of financial problems they are having instead of making workers the sacrificial lamb”. The cost of governance in Abia has been cut down drastically, and Abians are enjoying it. What else do Abians owe this common governor if not to support him? >Ukegbu is SSA to Gov. Ikpeazu on media.